Under the current GLAS scheme, farmers can benefit financially from protecting their watercourses. One way in which rivers can be protected from livestock is by using an Aquamat Pasture pump. 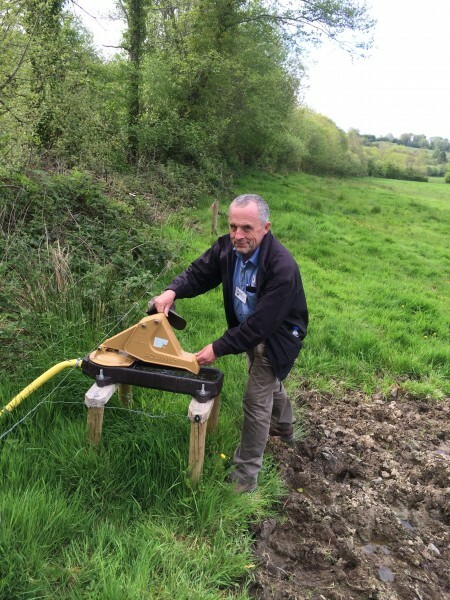 This pump, which is available from O’ Donovan Engineering, allows cattle to be completely fenced away from streams, lakes and ponds while allowing them access to fresh water at all times. The Aquamat, which is a nose pump operated by cattle, pumps water up to 70m (229?) length or a depth of 7 meters (23?). As the animals drink from the bowl they push against a lever which pumps water from the stream. Livestock learn almost immediately how to operate the pump and each one is suitable for 10 – 15 animals. O Donovan Engineering, who have been supplying La Buvette watering solutions for over 25 years, are getting a lot of interest in the pasture pump which is covered by Tier 3 of the GLAS scheme “Protection of Watercourses from Bovines”. The first tranche of the scheme is now closed and the Minister is expected to open a second tranche in September 2015. IRD Duhallow, a group which has brought over €40m in European and National Funding to the Duhallow region, have been working with O’ Donovan Engineering over the last year. 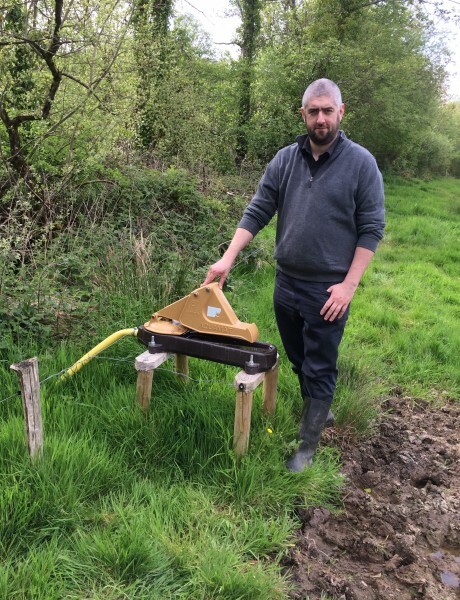 They have installed a large number of Aquamat pumps as part of their LIFE + project in the protection of the freshwater pearl muscle on the river Blackwater. The project has also seen the installation of solar powered pump troughs which are part of the La Buvette range of watering solutions. Hi Pearse, that is perfect conditions for our Aquamat Pasture Pump, pasture pump can pump 7m in depth so 8ft is no problem.